It looks like a yummy dessert made with cream and strawberry jam but in fact Hydnellum peckii is a very strange fungus and is inedible. With its pinkish or white top covered in bright red globules that have oozed out you aren't likely to miss seeing one if you were walking in a wood where it grows. Although it looks delicious to eat this is not an edible wild mushroom and not a species to gather when out foraging. Found in North America and parts of Europe, this bizarre mushroom is a member of the genus Hydnellum in the Bankeraceae family. It is what scientists would call a “stipitate hydnoid” species of fungus. 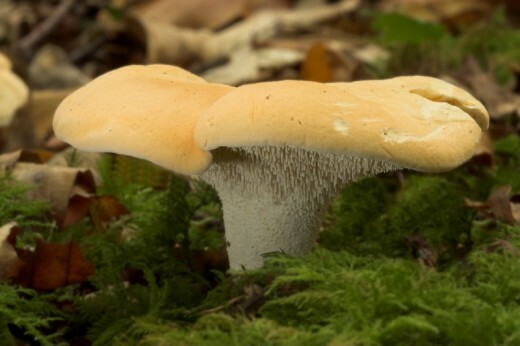 The term means that it grows on a stalk or "stipe" and forms a "hydnum" that has teeth instead of gills that most mushrooms have, and from which they release their spores. 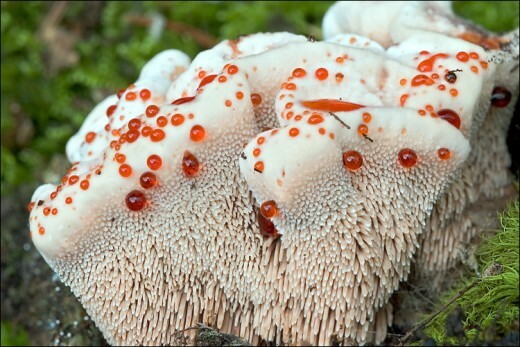 Hydnellum peckii produces its spores on the surface of spine-like growths or projections that resemble teeth that hang down underneath the fruiting bodies. The Hydnellum peckii fungus usually has a funnel-shaped cap that has a white edge; however, the actual shape of the fruiting body is very varied. When young the fungal caps tend to "bleed" a red juice that looks to us like strawberry or raspberry jam, and hence one of its names is the Strawberries and Cream. It is also known as the Bleeding Tooth Fungus, the Red-juice Tooth Fungus, the Devil’s Tooth Fungus and the Bleeding Hydnellum. All its common names make reference to its startling appearance. The red juice that oozes out of it contains a pigment that has been found to possess anticoagulant properties similar to heparin, which has been widely used in medicine for this purpose. Hydnellum peckii is easy to identify when young because of its unmistakable appearance, however, as the fungus ages it loses its attractiveness and becomes brown and nondescript looking. You probably wouldn’t stop to give it a second glance. Although, like me, you have probably never seen this strange fungus in the wild, it is actually spreading its range it seems and was recently discovered in Iran in 2008 and then again in Korea in 2010. 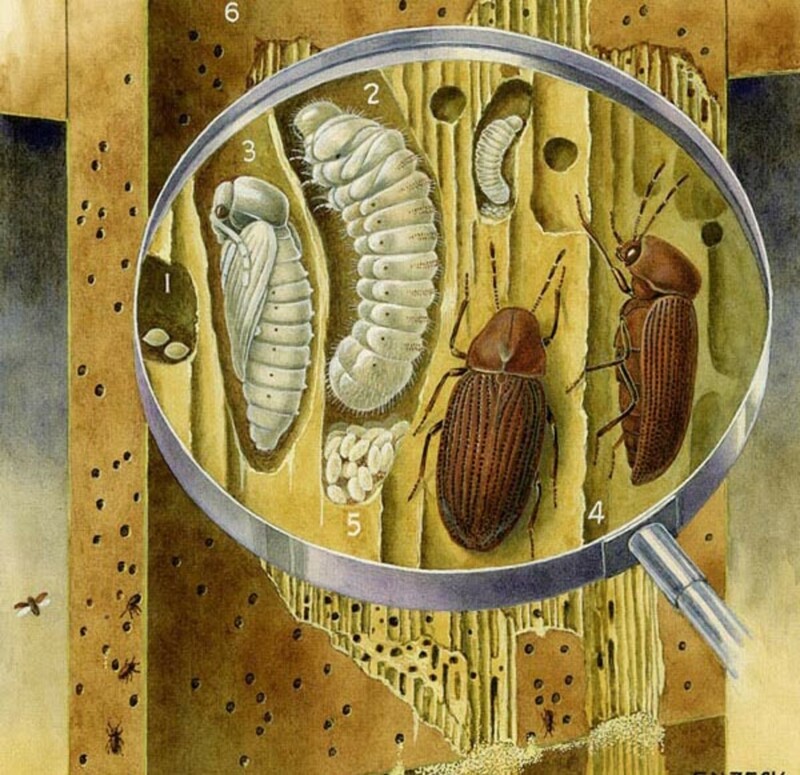 In Europe it has been found in Scotland, Germany and Italy. Hydnellum peckii grows in groups or scatter as single specimens. 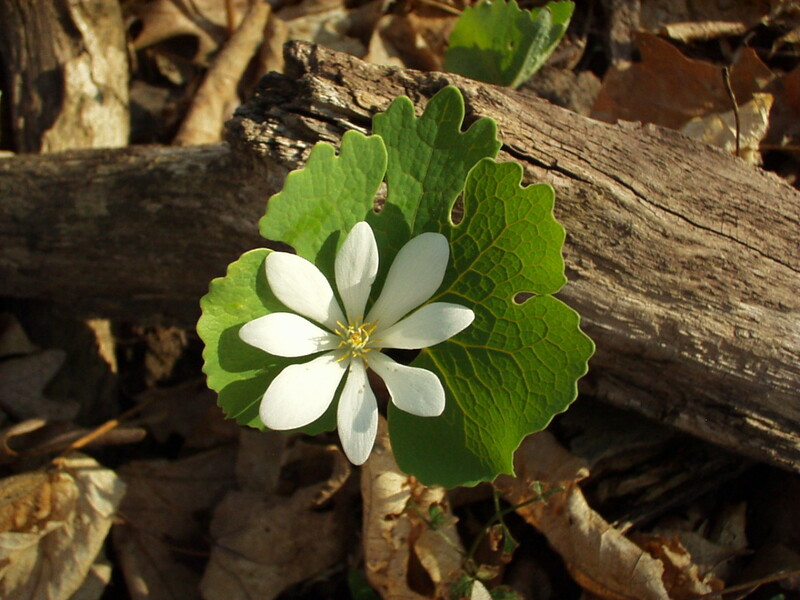 They are found amongst pine needles and mosses on the floors of pine forests. This fungus can reach 4 to 10 cm (1.6 to 3.9 in) across, or even as much as 20 cm (7.9 in) when a group of them has fused together in a natural process known as confluence. Hydnellum peckii is a mycorrhizal species of fungus with the main part of its body being the mycelia threads that spread under the ground, and where it forms mutually beneficial relationships with a variety of pine trees. Species in the Hydnellum genus in general are not known for being toxic to humans, however, they are regarded as inedible because the flesh is tough and has a very bitter taste. By the way, Hydnellum is derived from the Greek "hydnum" that means "spongy plant" or "fungus". Along with other species in the Hydnellum genus, as well as other fungi, Hydnellum peckii has been used to make natural dyes. There are 38 known species in the genus of Hydnellum fungi. Many of them have interesting colours. Some of them can be white, yellowish, olive green or pale brown. H. cyanopodium is a bluish grey. They all become fibrous and woody with age and turn brown. The Hydnellum fungi are all inedible because they are very bitter and too tough as well. This seems a great shame when some types look so appetizing when young! The species H. ferrugineum looks similar to Hydnellum peckii. It is whitish with pinkish-red juice that oozes out. 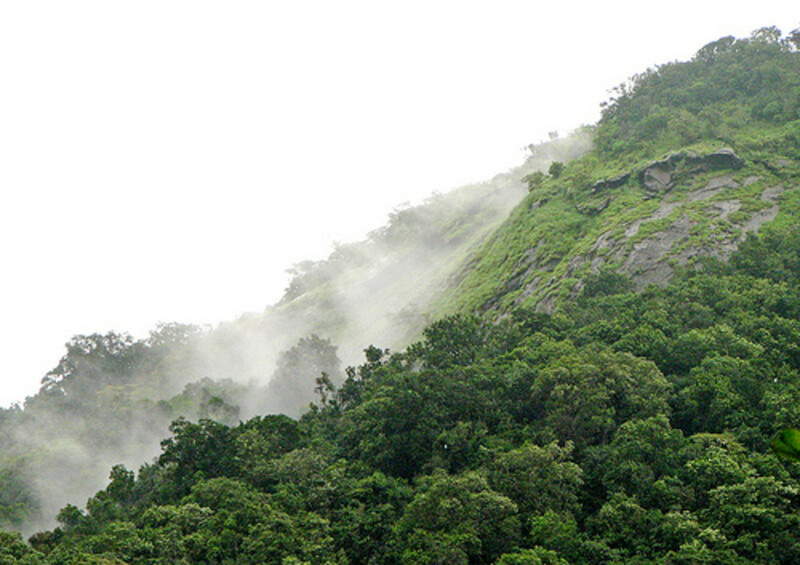 This species is also found growing beneath pine trees, as well as below beech trees. H. suaveolens has a pleasant aroma of peppermint or anise. Perhaps not surprisingly, some of the fungus species in the Hydnellum genus are of concern to conservationists due to the diminishing numbers of them being found in recent years. There is a similar genus of Hydnum fungi, which also have teeth that project downwards from their caps. Hydnum repandum and Hydnum rufescens, from this group, are both known as edible fungi. The first of these is known as the “Wood Hedgehog” and is given an ‘A’ classification for its edibility by Richard Mabey in his classic book for foragers, Food For Free. It is common fungus found in all sorts of woodland. Mabey, admits that like the Hydnellum species, it is bitter to taste, however, he says that boiling removes this problem. The author recommends bringing the chopped fungus to the boil in water and simmering for a few minutes before draining off and throwing away the water. He then suggests that it is boiled in milk or stock for a further 20 minutes, and then served on toast with a dash of sherry sprinkled on top. Thank you for your great feedback, ThePelton, minababe and Angel052! Interesting looking mushroom. Looks almost like candy. The fairy mushrooms I wrote about also look very appetizing, like you could cook them for steaks or burgers, but they are poisonous and will mess you up. Wonder why these good looking mushrooms are non-eatable by humans? Nature's joke I suppose. 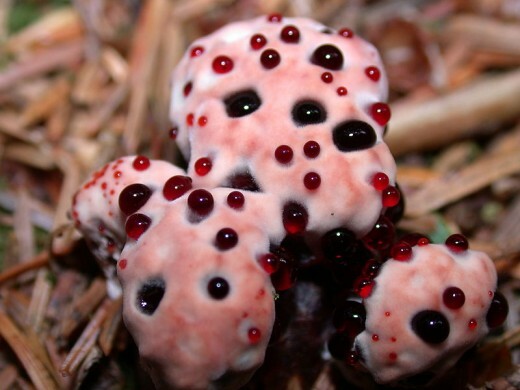 The Hydnellum peckii does look "tasty", doesn't it? Like something you'd see in a bakery. I feel sorry for the person who, enticed by its look, had to find out the hard way how inedible it is! Hydnum repandum is a great edible mushroom, but make sure that you first go out with someone who KNOWS their mushrooms, so you don't get something that could hurt you. Incidentally, I collected Hydnellum Suaveolens, and thought it smelled to me like butterscotch.